+ DWDM network design and implementation solutions. + Core Network & Metro Ethernet network design and implementation solutions : iNext to develop tested, proven solutions that streamline delivery to market. With a flexible mix of products and vendor-managed inventory options, iNext helps its customers optimize investment and expand revenue potential while rapidly delivering secure point-to-point and multi-point connectivity, customer service and satisfaction. + FTTx/ODN : iNext provides professional access network services, including FTTx/ODN integration and network migration, which set to provide cost-effective, high-efficiency, and forward-facing FTTx/ODN networks for operators. These professional services leverage existing investments, lower migration risks, improve efficiency, and ensure high-quality deliveries. +Datacenter Solutiosn: iNext Validated Designs for data center networking provide best practices for addressing the challenges you may face as you grow your data center infrastructure. + VoIP Solutions: iNext VoIP solutions are carrier-grade and capable of handling thousands of concurrent voice calls via a countrywide Multiprotocol Label Switching data network. These solutions are highly scalable and can be tailored to suit your specific needs while at the same time provisioning for future growth and technology advancements, and can leverage off your existing infrastructure. Simply choose the iNext VoIP solution you require and we will connect you to our IP network. Inext’s Systems Integration services are designed to augment and support enterprise customer service organizations by bringing technical expertise that will give the client a competitive advantage in an ever-changing global marketplace. We achieve this by offering staff that are experienced, and keep up with the latest IT and telephony technology, unique data integration skills, analytic applications knowledge, and best practice expertise. Communication service providers (CSPs) are challenged by the need to grow revenue, improve time to market, and improve operational efficiency while reducing cost. CSPs must innovate and be agile to win—and optimized operations support systems and business support systems (OSS/BSS) are vital to future success. The OSS/BSS integration solution for telecommunications from iNext can help you drive costs out of your operations and provide an agile environment for new and innovative revenue-producing services. A flexible OSS/BSS environment is critical to manage the explosion of data this creates and support the new types of services required for a smarter planet. This flexibility can enable efficient processes for the provisioning and activation of new services with a common product catalog, unified network and service inventory, and the activation of a broad range of information technology platforms and network elements. Our solution can help you gain an interconnected view of your business with a production-ready integration architecture that includes pre-developed connectors to a set of OSS/BSS applications. It creates a standards-compliant integration framework that allows legacy and new systems to interoperate and provides the opportunity to select best-in-class vendor applications. Ultimately, the solution provides an OSS/BSS environment with intelligent capabilities to help simplify your business processes by using policy-driven dynamic selection of the appropriate OSS/BSS application. 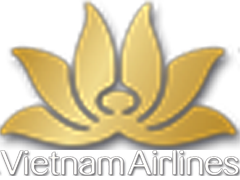 – Achieve differentiation through customer satisfaction and innovative offerings. – Speed time to market for value-added services. – Lower operating costs to drive profitability. – Increase retention and drive new revenue. – Deliver converged voice, video and data services. – Integrate service applications and connect with backend support systems. – Utilize your existing network infrastructure. – Create a standards-based approach to OSS/BSS integration to maximize flexibility. In addition to a range of revenue-generating services, iNext solution is extensible to support integration with third party applications via APIs. This allows Communication service providers (CSPs) to build new business partnerships, supporting a growing range of application innovation . Our offer is unique. It’s a complete, end-to-end solution, from applications to platforms, backed by an exceptional skillset and experienced team that can make the most of your investments. Our agile, flexible approach ensures the solution is optimised to your requirements, while enabling you to capitalise on proven applications and technology. iNext solutions are available in a range of flexible, cost-effective deployment options, from a low footprint entry point to a fully redundant architecture that scales to thousands of transactions per second. iNext develops a full range of Enterprise Communication (VoIP telephony) software products. Reduce Telephony Expenditure and Extend Customer Service Beyond the Call Center to Support High-value Business Operations. Legacy telephony infrastructures can inhibit inter-employee communication and collaboration due to cost, complexity, and the difficulty of integrating chat, WebRTC, or other new channels into TDM-based architectures. iNext Platform enables new levels of collaboration by enabling disparate, multi-site environments to integrate customer service capabilities company-wide and eliminate operational silos. Using the concept of ”presence” across different locations, you can track the availability of a resource or expert beyond the call center without specialized software on that resource’s desktop. Unlike traditional call center solutions, iNext enables intelligent, robust and flexible routing capabilities that delivers each customer call to the best available resource. It also collects and measures statistics of every customer service request and interaction to enable real-time monitoring and historical reporting. With a single view into multiple, cross-channel conversations from remote branches and other locations, your organization will have a better understanding of the customer journey, enabling your teams to react efficiently and measure consistency within each customer experience. iNext Enterprise Communications provides full-featured system capabilities, including administration, provisioning, reporting and management, with full integration between the Contact Center and back office solutions. Have a multi-national contact center that operates globally 24/7/365? Need a way to make your small start up appear as professional as the big guys? iNextCC is the contact center for you. With IP telephony, multi-modal communications tools, robust reporting features and application integration built right in, iNextCC outshines the competition--and will make your team a star performer for your bottom line. Video conferencing has become a popular service widely used by organizations. Low cost video endpoints, as well as the popularity of smart phones, have made enterprises think about integrating video capacity to their existing communication networks. iNext MCU is a versatile SIP-based multipoint conferencing unit appliance that allows SMBs and SMEs, with multiple locations, to easily add video conferencing capacity to their existing telephony systems. Providing high quality voice and video conferencing in a single platform increases productivity for enterprises and reduces communication and travel costs. You might have heard terms like "Hosted PBX/Callcenter", "Cloud PBX/Call Center" or "Virtual PBX/Call Center" when shopping around for the right phone system solution for your business. There's really not much difference. To put it simply, iNext's hosted PBX/Call Center phone system solution allows you all the features the big guys have without worrying about an actual PBX box at your business location. Instead, we host your phone service on our servers using your internet connection and provide you the desk phones. Pair that with an affordable monthly price and without all the headaches of owning, installing and manageing complicated hardware and software. No matter the size or location, iNext can simplify the way you manage your business phone solution. iNext has established strategic alliances with suppliers that manufacture and produce the cornerstone technologies. As organizations move toward total interaction with customers in an effort to increase the value of each customer relationship, iNext is well positioned to provide turnkey solutions to these organizations. AudioCodes designs, develops and sells advanced Voice-over-IP (VoIP), converged VoIP and Data networking products and communications applications for Service Providers and Enterprises. AudioCodes is a VoIP technology market leader focused on converged VoIP & data communications and its products are deployed globally in Broadband, Mobile, Cable, and Enterprise networks. AudioCodes’ products and solutions include IP Phones, Session Border Controllers (SBC), Media Gateways, Multi-Service Business Routers (MSBR), SOHO Routers, Media Servers, mobile communications solutions, value added applications and professional services. AudioCodes High Definition (HD) VoIP technologies and products provide enhanced intelligibility and a better end user communication experience in emerging voice communications. 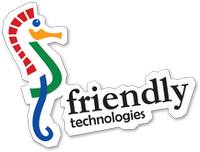 Friendly Technologies provides uniﬁed device management solutions for Fixed & Mobile operators. Our solutions simplify the deployment, management and monitoring of Data, VoIP, IPTV & IoT/M2M services, increasing customer satisfaction and reducing operational costs. Our carrier-class products are built on industry standards, such as TR-069, OMA-DM, SNMP and others. The Friendly solutions service xDSL, FTTH, cable, satellite, WiMax/LTE and OTT. Digium®, Inc., the Asterisk® Company, created and is the innovative force behind Asterisk, the most widely used open source telephony software. Since its founding in 1999 by Mark Spencer, Digium has become the open source alternative to proprietary communication providers, with offerings that cost as much as 80 percent less. Digium offers Asterisk software free to the open source community and offers Switchvox, Digium’s Unified Communications solution to power a broad family of products for small, medium and large businesses. The company’s product line includes a wide range of telephony hardware and software to enable resellers and customers to implement turnkey VoIP systems or to design their own custom communications solutions. At Digium, we’re changing the way businesses communicate. Squire Technologies are a UK based company specialising in signalling product solutions in the SS7, VoIP and IMS markets. Operating since 2001 Squire Technologies provides either black box products and the associated install and support services, or a total end-to-end solution under its Next Generation Service. Squire Technologies has a global customer base with deployments in 90+ countries consisting of Fixed and Mobile operators, MVNO’s, ITSP’s, Wholesale Carriers, Equipment Vendors, Integrators and Solution Providers.